We use a family centered approach to estate planning that you won't find anywhere else. We'll personally work with you to make sure your family receives the most value possible from your estate and that your children will be well taken care of. Family Wills and Trusts, PLC is estate planning law firm in Lansing with your Michigan family in mind. A personal estate planning lawyer will be assigned to your family, whom you will come to know on a first name basis and be able to turn to whenever you have a legal question. We'll address all of your planning needs, establish a plan to ensure those needs are taken care of, and be here to help when you (or your family) has questions. We take great pride in offering online access to an estate planning attorney no matter where you live in Michigan. Office visits are available by appointment for residents of Ingham, Eaton, and Clinton Counties including Lansing, East Lansing, Okemos, Haslett, Bath, Laingsburg, DeWitt, Grand Ledge, Dimondale, Mason, Holt, and Williamston. 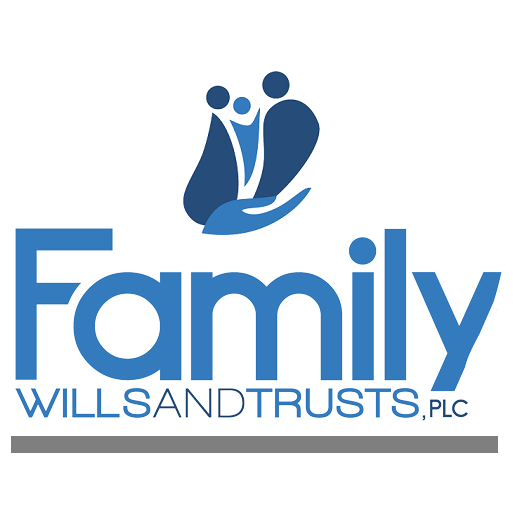 Family Wills & Trusts, PLC is a Lansing estate planning attorney firm with the unique needs of your Michigan family in mind. You will have a personal estate planning lawyer assigned to your family, whom you will come to know on a first name basis. Your personal lawyer will address your planning needs, establish a plan to ensure those needs are taken care of, and see that as life unfolds, things happen according to the plans we've helped you make. When it comes to estate planning, not enough lawyers appreciate the differences between one family and the next. For instance young growing families have concerns about guardianship and providing for their children if anything were to happen to them. There are also blended families who wish to provide for their new spouse while not "accidentally" disinheriting children from a previous marriage. There are also relocated families, empty-nest families, families with special needs, families with estate tax concerns, families with asset protection concerns, and the list goes on. I'm attorney Stuart Williams and at Family Wills and Trusts, PLC we get it! Estate Planning is your chance to plan for an event that only happens once in a lifetime. An event that transfers a person's entire net worth to the people they love. When not planned well, administering an estate through probate can cost tens-of-thousands of dollars. When planned properly, financial assets can be protected for children, and modest retirement assets can be turned into legacy gifts that benefit children and grandchildren many years after your gone. It you want to plan with a lawyer who appreciates how each client's family is unique, call 517.853.7542 or stop by www.FamilyWT.com to schedule a free new-client planning session. Our New Client Services Team is standing by! Hi I'm Stuart Williams. I started Family Wills & Trusts, PLC after I realized the need for a different approach to estate planning. One that would consider each family's unique needs. Some families are young and growing, while others are not as large as they used to be. Some families have health concerns or assets that they wish to protect, while others only desire that their minor children be raised by loving guardians with similar parenting philosophies. At Family Wills & Trusts, PLC our mission is to give our clients supreme confidence that a specially tailored plan has been put in place for times of crisis, and that if necessary, assets will be protected and seamlessly transferred to beneficiaries with as little administrative burden or cost as possible. Stuart lives in Michigan with his wife and two young children. In 2014, he established Family Wills and Trusts, PLC, an estate planning law firm in Lansing, Michigan. 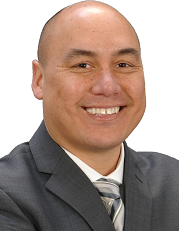 Stuart attended Michigan State University College of Law and has been licensed to the practice of law since 2005. Stuart is a member of the Probate and Estate Planning section of the State Bar of Michigan, The Ingham County Bar Association, The Probate and Estate Planning Section of the American Bar Association, and is licensed to practice in U.S. Federal District Courts. Stuart is also a certificated member of the Probate and Estate Planning Certification Program co-sponsored by the Institute of Continuing Legal Education and the State Bar of Michigan.